with family or friends, as well as for your business trips. 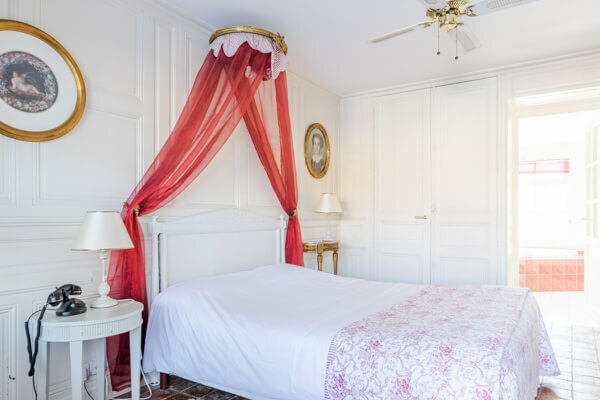 A charming and quiet room with double queen or King size bed. 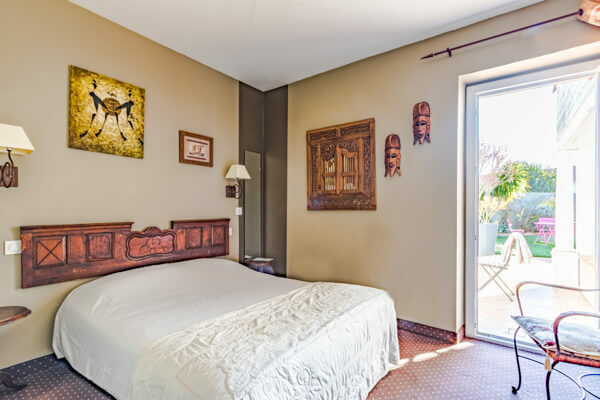 A very comfortable and fully equipped room for 3, with private bathroom and italian shower. 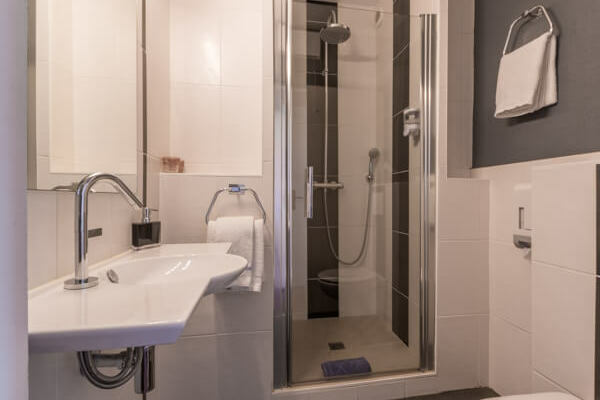 Spacious room with italian shower with direct opening to the interior back garden. Spacious room close to our swimming pool ; bathroom with corner bath. 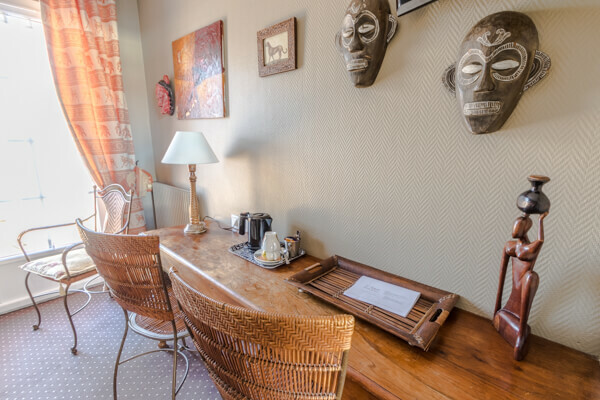 More than a suite, an ideal Studio or Appart'hôtel if you want to stay several days. We offer a balanced breakfast of organic goods which we locally source each day. 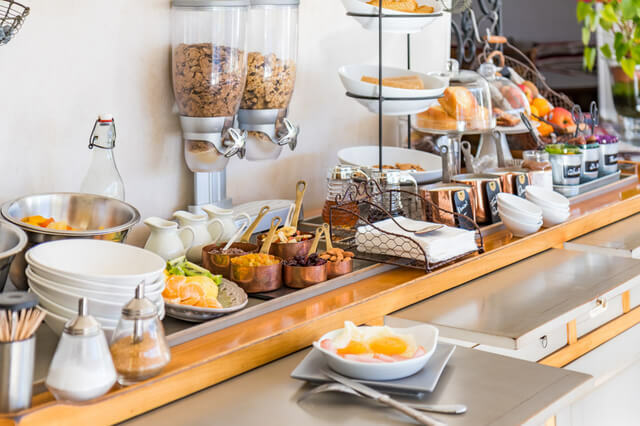 Our Typical French breakfast Buffet includes a choice of fresh bread and viennoiseries, coffee, tea, fruit juice, « fromage blanc », fruit salad and fresh sliced fruits. We also offer goods coming from the famous « Beillevaire » dairy in Vendée. We offer various french charcuterie, cheeses and organic eggs which we will cook to your own taste. 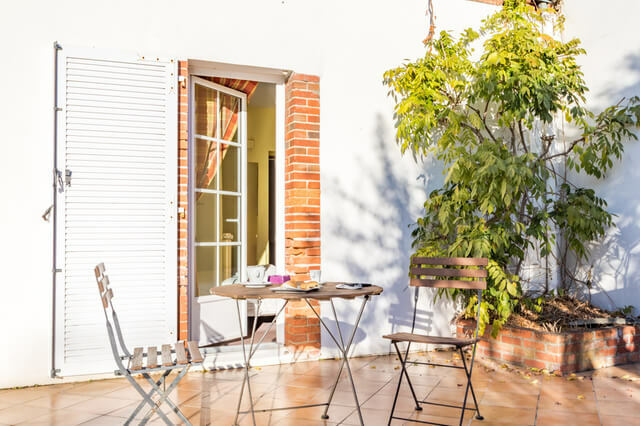 The Vendée region and, in particular Challans, is well known for its French gastronomy. 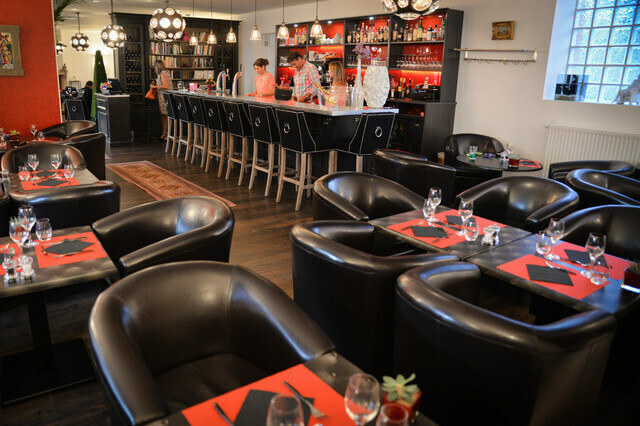 Within walking distance from the hotel, there are two restaurants - « La Terrasse » and « Les Planches de Marceau »- which are well-known for their fine dining and warm ambiance as well as an excellent wine list. 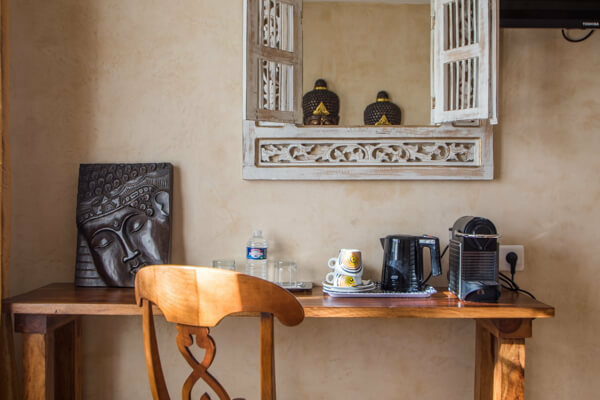 We do not provide lunch and dinner but can advise our guests of other good restaurants, wine bars, pizzas, creperies within 2 minutes walks from the hotel. 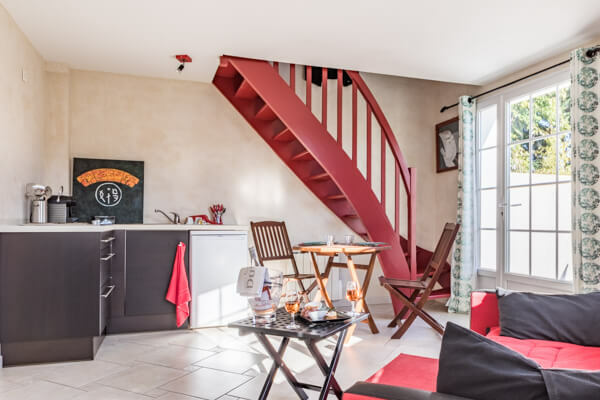 The sea towns of Saint-Gilles-Croix-de-Vie and Saint Jean de Monts are 20 minutes drive from the hotel. 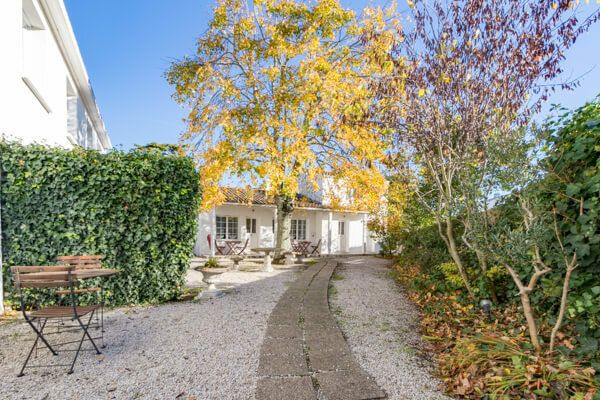 The island of Noirmoutier is also nearby. They offer a wide range of sea-side attractions, restaurants and lovely sand beaches. There is also a challenging golf course at St Jean de Monts which is half parkland and half links. 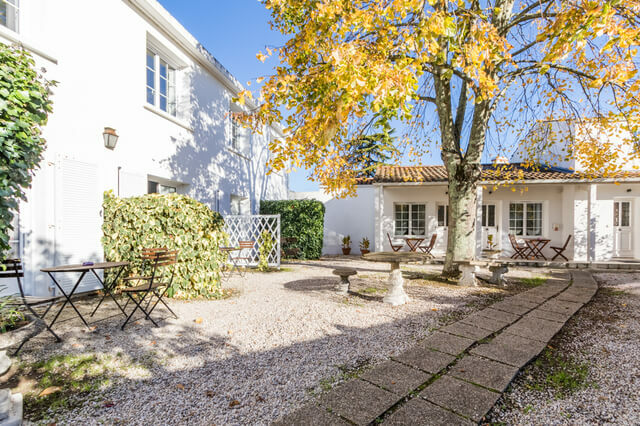 We aim to provide the perfect stay during your visit to the Vendée region. 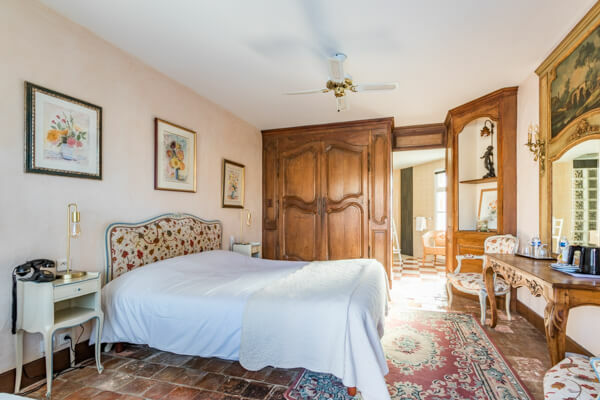 You will be welcomed in the Manoir de l’Antiquite by Amelie and Francois, the owners. 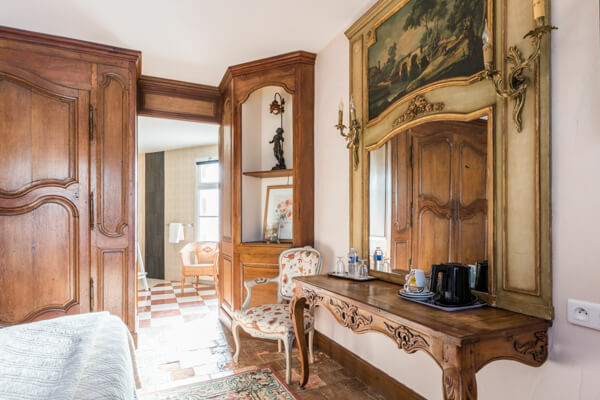 The hotel was founded by an Antique dealer in 1975. We have maintained the same style. 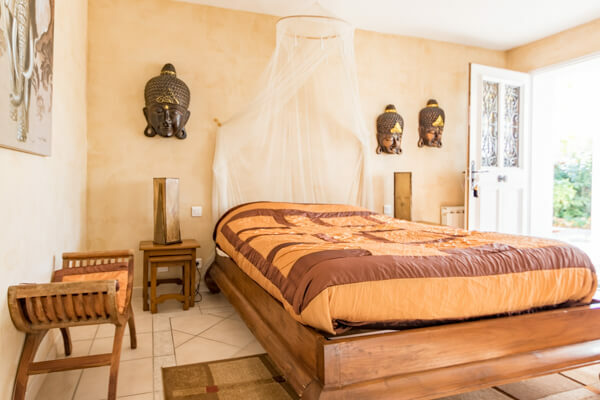 We offer 20 rooms, each with a different theme (Africa, Asia, Baroque, sea-side, Bourgeois chic or rural) providing an ideal stay in the heart of the Vendee for a family holiday, romantic break or just being amongst friends. We have a peaceful garden with a flowery courtyard, a patio and a nice swimming pool. A haven of peace within the hotel which you couldn't imagine. 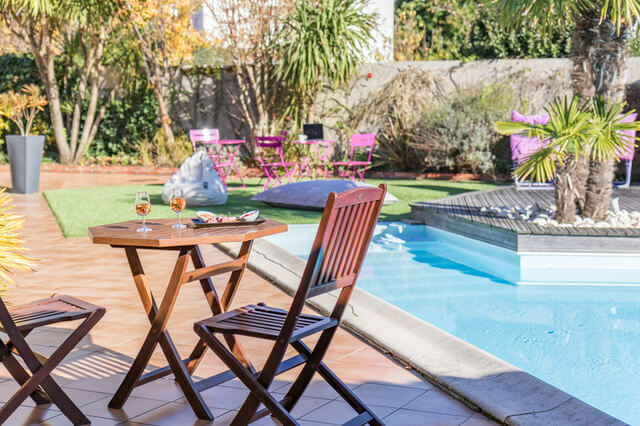 All of the bedrooms have a view of the swimming pool or the garden. Those, on the ground floor, have a private patio with table and chairs. A very nice hotel, quiet and close to the city center. An interior and exterior decoration warm and tasteful. The room big and very comfortable. The breakfast very rich and diversified ... a treat and finally a great welcome managers with a smile. Cozy stay for a hotel in the city! 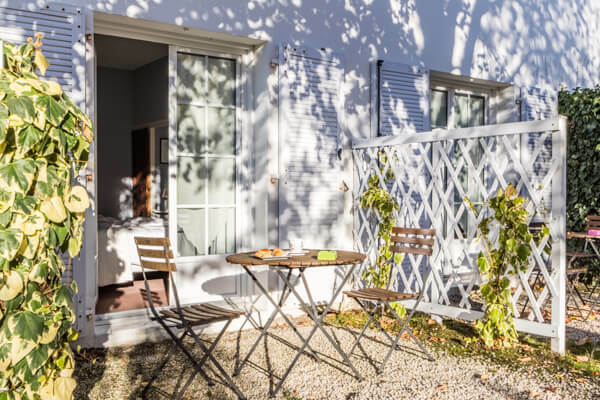 The comfort and decoration of the room, the breakfast, the inner courtyard with the swimming pool. Place full of charm. What happiness! 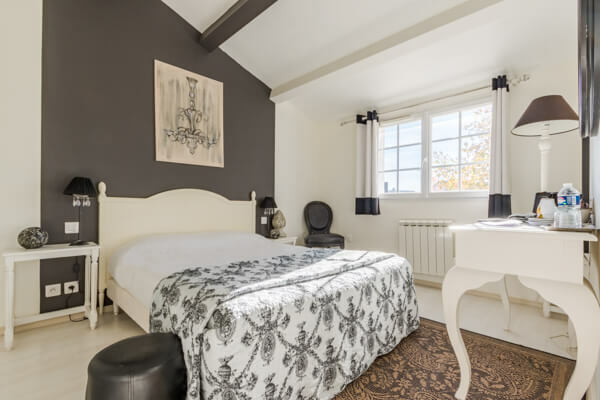 Very cozy room, mixing the charm of the old with the comfort of the modern. Bathroom at the top and very clean. Flawless bedding. The great breakfast and the welcome of the owners make you want to come back very quickly. We found the place nice! Contact details : Individual and professional, do not hesitate for any further information. See you soon. Enter your contact information, the subject and the text of your message below. 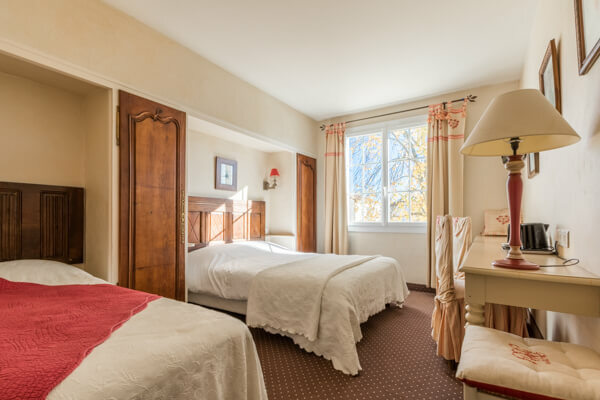 Duvet, desk, hair dryer, free-view HD flatscreen TV, Wi-Fi access, alarm clock service, wardrobe, hand wash, shampoo and shower gel (« l'Arbre Vert »), tissues, kettle, herbals teas, tea and coffee. 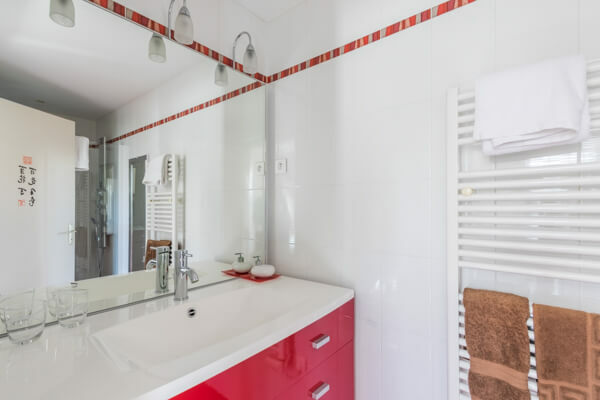 1 double bed, private italian shower, private toilet. Iron and ironing board, toiletry items, safety box, fax, PC, baby chair, items for children (folding crib/travel cot, baby bath, bottle-feed warmer, baby-mattress). A very comfortable room opening onto the patio. Our hotel is situated near the center of the town in a very quiet area. Free car park, complementary Wi-Fi in all rooms, private swimming pool and patio. 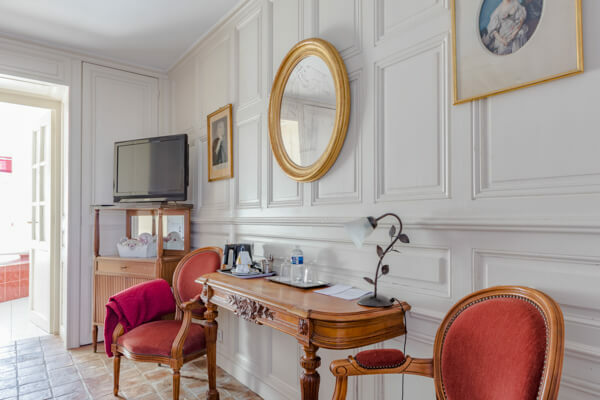 Wether for leisure or business, each room has its own character and is decorated individually. Some rooms have a communicating door which is ideal for families. A bed can be added in some of the rooms. Payment facilities : CC, American Express, Master Card, or cash. Entertainment : Pack TV Channel 4 + and Pack Sport, Newspapers, magazines, Touristic display stand, Children's books, Board games. 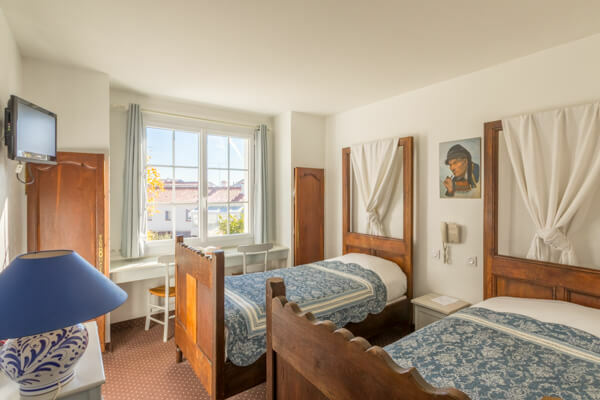 1 Double bed and 1 Single bed, private italian shower, private toilet. 2 Single beds, private italian shower, private toilet. 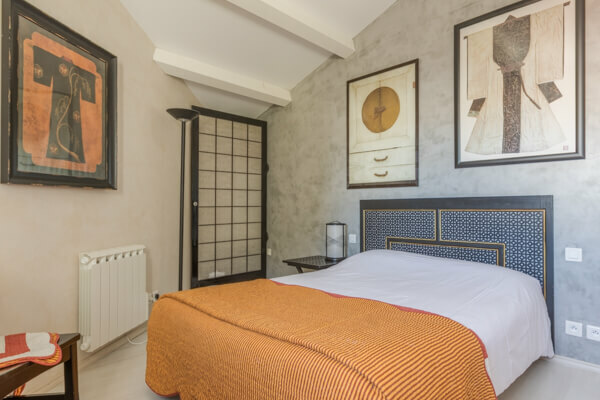 Spacious room (20 m2), 1 double bed, private italian shower with pebble floor, safety box, bottle of water, mini-bar, private toilet, view on the interior garden and Zen decorated . 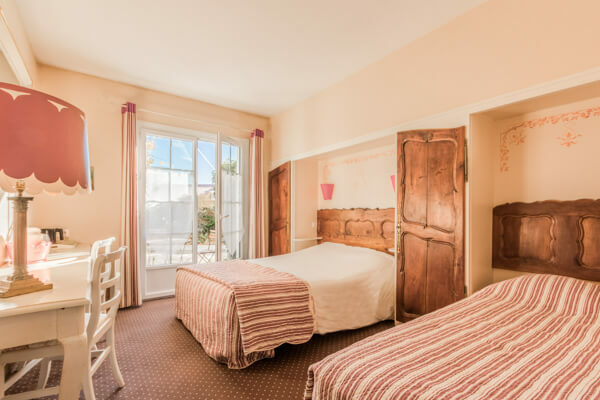 Spacious room (28 m2), 1 Double bed, Angled bath, shower, private toilet, safety box, pants-press, bottle of water, mini-bar, view on the swimming pool. Spacious room (38m2), 1 double bed, lounge with convertible sofa, fridge, private italian shower, separate toilet.